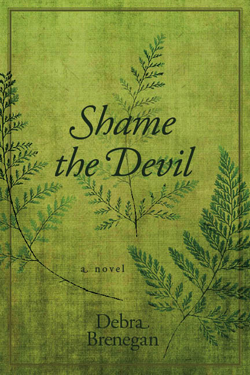 New Published Story, "Skinny Old Doug"
I'm very pleased to welcome Debra Brenegan, whose new novel, Shame the Devil, is a fictionalized biography of nineteenth-century American writer Fanny Fern. I asked Debra to discuss doing historical research for a novel. Thanks, Anne, for letting me blog for you today! I am happy to share some of my experiences researching and writing Shame the Devil. First, if you’re writing about real people and/or historical events, your research must be as thorough and accurate as any biographer’s. Sift through official archives, of course – authors are absolutely required to thoroughly and tirelessly investigate the people, eras and events they write about using as many primary and secondary sources as possible. That said, a different sort of research, ancillary research, is also required to ensure the veracity of historical fiction. It involves the petty little details that, if anachronistic, ruin the reader’s immersion into the story. You know the details. You’re quick to discover them yourselves. I’m talking about details like what kinds of food your characters might eat, what bills and coins they might find in their pockets. Did they have pockets or were their clothes pocketless? And if pocketless, what did they do with their money? Good fiction is detailed fiction – every detail a historical author uses must strive for accuracy. · Surf the Internet – Don’t overlook this obvious and very useful source! · Read – Immerse yourself in other writings of the era to let the details seep into you. Certainly read everything written by your protagonists in order to find out their favorite books, how they treated their headaches and how they took their tea. Those facts can often be found in diaries and letters. But, also read many other writers of your era to get the feel for the language and idioms used. I found trying to write in a strictly-correct mid-nineteenth-century style to be almost unintelligible to modern readership, so I invented a hybrid language – a language that sounded old but is understandable in 2011. Consistency within those choices is mandatory. For example, modern usage of the words gay or gender are as anachronistic as putting nickels into pockets before it was possible. · Watch films set in the period you write about – film makers have the same ancillary research problems historical writers have, so often, you can benefit from the research they have already done. · Specialty sources – There are also scores of books dedicated to materials, songs, housewares, fashion, china patterns, boot styles, etc. from an given era. I had several “Life in the 1800s” sorts of books that I’d page through when deciding what my characters would eat, how they would dress, or what tune might run through their heads. · Visit Museums – Museums are also wonderful resources. Go and visit those out-of-the-way homes and ways-of-life displays maintained from the era you write about. I went to New York and visited the Merchant’s House Museum, which was located literally a few blocks from Fanny Fern’s former dwelling. I learned more about the “feel” of homes of that era and style – how narrow the staircases really were, how low the tables, how few the carpets – than I ever could have understood by simply browsing the Internet. Not to mention the other dozens of museum displays I devoured. Talk to curators – they are usually as delighted to help you with research as the archival librarians (who are also very helpful). Know that some anachronism will likely make their ways into your work. This happens with even the best historical novelists. But, with solid researching, you can minimize these instances and maximize reader immersion into your story. You can visit Debra Brenegan at her website. Recently I've been seeing this quote floating around, attributed to W. Somerset Maugham: "The best style is the style you don't notice." And we all go, "Yeah, very deep, man." I said it at first, too. But then I really considered it, and my blood began to seethe. No! A thousand times, no! The invisible style is the style of the mediocre. If I consider my twenty favorite authors, I consider twenty distinctive styles. Rip a page from the center of a novel by Ursula K LeGuin, by Kurt Vonnegut, by Vladimir Nabokov, by Jeanette Winterson, by Frank Cottrell Boyce, by Anthony Burgess---I would have a fair shot at figuring out who wrote that page, based on the prose style. And while I read these authors, I luxuriate in their unique sounds and textures, celebrating their choice of words, turns of phrase, sources of allusion. How could it be otherwise? With experience, we expect to be able to tell Van Gogh from Cezanne, Liszt from Chopin, Led Zeppelin from Pink Floyd. Should prose fiction not be just as distinctive at its highest level? Recognizable style is a mark of greatness. Special treat today! Here is the first of what I hope will be a series of guest blog posts. 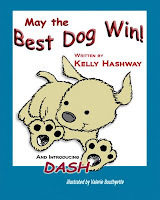 Our inaugural guest is Kelly Hashway, author of the picture book May the Best Dog Win. I asked her to discuss her process for writing picture books. First I'd like to thank Anne for having me today and allowing me to share what I've learned about writing picture books. I love to pass along information to other writers since I've been fortunate enough to get help from some very talent and multi-published authors. Pay it forward, right? There are a few things you really need to keep in mind when writing picture books. Possibly the biggest thing to remember is that every word counts. You would be amazed at how many round of edits my picture book, May the Best Dog Win, went through before it came to print. I learned a lot from the talented editors who worked on the book with me. You have very limited space in a picture book, so you need to tell your story in the best way possible in just about the fewest words possible. You can do this by using specific verbs. What do I mean? One line in my book originally read, "Mom took the rope bone and put it in the garbage." In the final version of the book it reads, "Mom took the rope bone and tossed it in the trash can." There are subtle differences here but the final version more clearly and accurately reflects what takes place in the story; "tossed" and "trash can" are more specific than "put" and "garbage". So be as specific as you possibly can. When you revise, go through every word and make sure it's the best choice for that sentence and for the story as a whole. Another thing you really need to consider when writing a picture book is the illustrations. I know you're probably thinking, "But I'm a writer, not an illustrator." Yes, that may be true, but as a writer you are only half of the picture book. A picture book is a partnership between the author and the illustrator. The illustrations are telling just as much of the story as the words, and you must allow them to do so. That means you need to give up some control, which isn't always easy for a writer to do. I had to take out certain descriptions because they weren't necessary to the story once the illustrations were in place. It's perfectly fine to write illustrator notes in parentheses to keep yourself from overwriting. I find that very helpful. One trick I learned is to take a well-known picture book and type up the text. Then read the text without looking at the illustrations. It will instantly become clear that the illustrations are telling part of the story. Your text will in some ways seem incomplete without the help of the illustrations, but that's okay. Like I mentioned before, my book went through several rounds of revisions. And one of those rounds came after my amazing illustrator submitted her illustrations. I had to make changes to accommodate the illustrations. I told you this was a fifty-fifty between the author and illustrator. So be prepared to make adjustments to match your illustrations. You have to remember that the illustrator is the expert on the pictures. Taking their lead and adjusting little things in the text is worth it. The last bit of advice I'll give you is to remember that kids are smart. They will pick up on the lesson in the story without you having to shove it in their faces. Don't talk down to kids or they will quickly put your story down and move on to something else. Really the most important thing is to have fun. If you enjoy writing your picture book, then it's more likely kids will enjoy reading it. So there you have some very important lessons to keep in mind when you are writing your picture books. Happy writing! 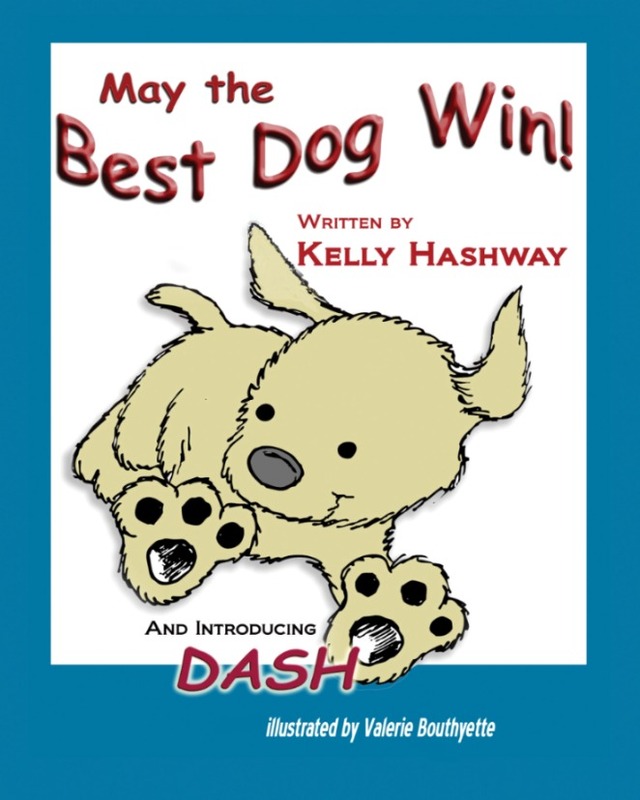 You can find Kelly at her blog and buy May the Best Dog Win at Amazon and BN. One and a half more chapters, and my new novel's first draft will be done. Interestingly, the light at the end of the tunnel is not bringing me relief, but a sense of responsibility that I'm trying to keep from becoming panic. Suddenly I am drowning in work. I do edit previous chapters as I write new ones, so the task could be even scarier. But I've promised my beta readers the first ten-chapter chunk next week, so that's another round of edits. And as I prep for beta, I'm making my chapter-by-chapter synopsis and my style sheet of invented terms and concepts so that I (and a publisher) can be consistent in their usage. The purpose of this flurry of activity is to be sure a finished novel is really that: a completed work ready to be sent to publishers. In six weeks, out it goes, so it needs to be all shiny. Short stories may need to wait a couple of weeks. But that's okay. I'm ahead of sched on those anyway. Delighted that my story "Skinny Old Doug" was published today in the July issue of Underneath the Juniper Tree. Follow this link and scroll to page 19 of the magazine (which is page 25 of the file). Better yet, read and enjoy the whole issue!